Hi Vaping Annex members, In this review i take a look at the Wildwolf 235W TC MOD from Hcigar. 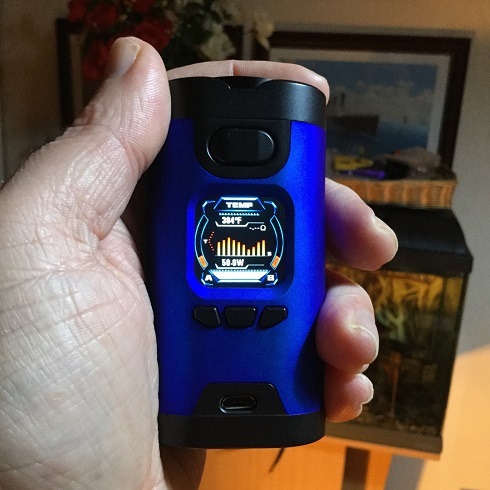 The Hcigar Wildwolf 235W TC MOD was supplied for the purpose of this review by Ella from Sourcemore. 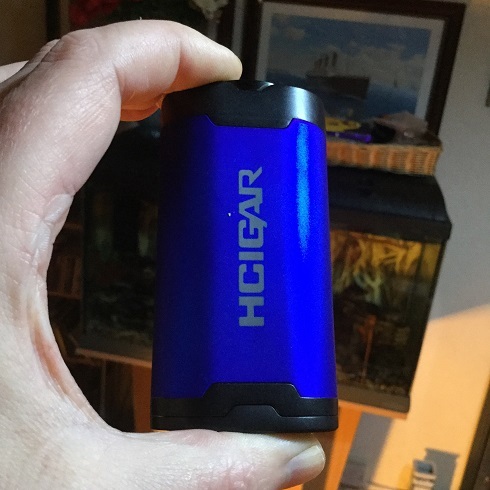 Hcigar have been producing vaping mods for quite a while now and rather than being prolific tend to release devices that are always worth a look at the very least. 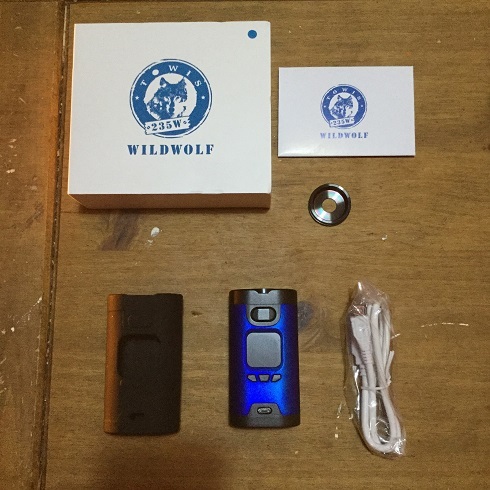 Here we have the Wildwolf, a device that has all the features vapers would need while the inclusion of a mode button makes it one of the easiest devices to navigate. 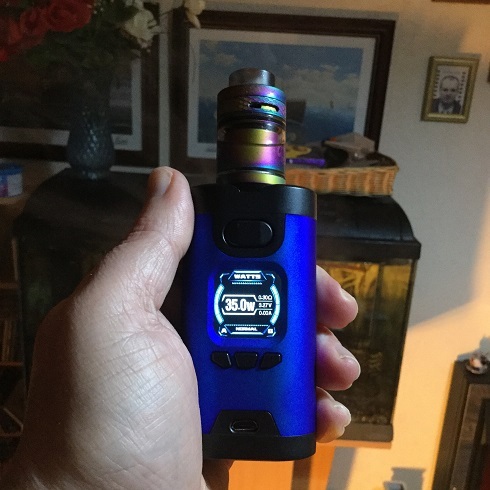 The Wlidwolf is both a looker and feels great in the hand and has a top wattage of 235w (cough! Cough!). Featuring a full TC suite, variable wattage and Voltage as well as both wattage and temperature curves, so let's take a closer look! 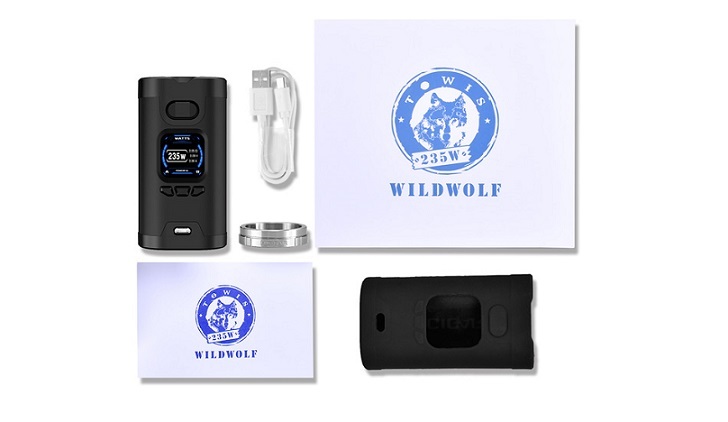 The Wildwolf comes in cardboard packaging and on opening the box i found the device was fitted with a good quality, tight fitting Black silicone sleeve. I received the blue version, other colour options include Red, Silver, Black and Silver Black. 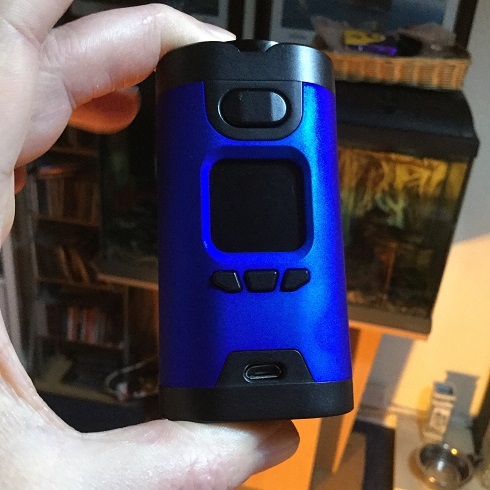 The device is very light at just 103g which is because the main body is plastic but you really can't tell by either looking or feeling the device as it has a rubberised texture and sublime iridescent finish, the blue version i received as the light catches it gives varying shades of both deep blue and purple. The front of the device has a horizontal pill shaped Black fire button towards the top with the centre square section raised and the curved sides tapered. Central we have a square screen and below this is the Black protruding navigational and mode buttons, finally at the bottom is the micro USB port. 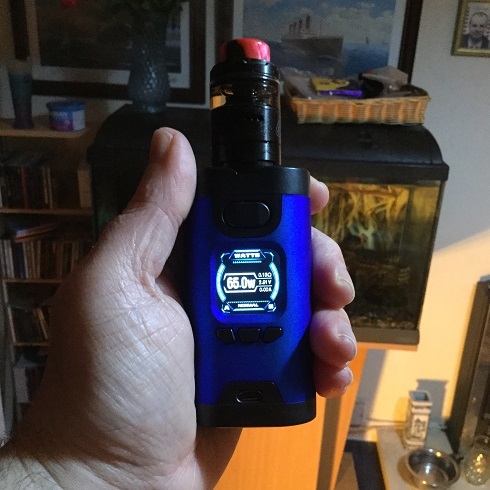 The back of the device has "HCIGAR" printed in Silver on the vertical which will not be everyone's cup of tea but i quite like it. The Black Zinc alloy base of the device is the battery hatch door which has some raised texture to help to slide it open and both branding and safety marks printed. The top of the device is also Zinc alloy with a Black finish, we have a centrally positioned Black 30mm 510 plate with a Silver plated, spring loaded 510. 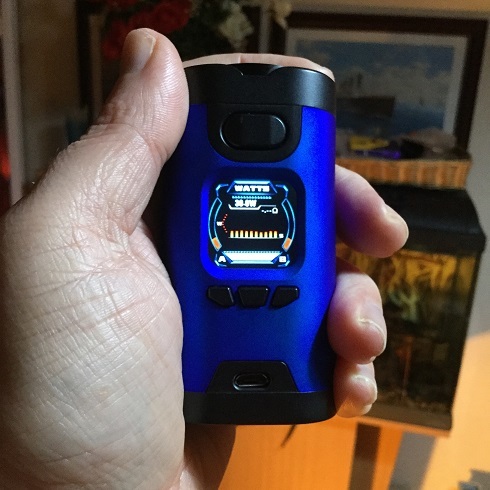 Both the build quality and finish is top notch and the form factor is a very ergonomic oval much like the SX Mini G Class and Voopoo X217. Note: The iridescent rubber type texture does not show up on the photos, in real life the finish is much deeper and matte rather than the gloss look on the photos. As time as gone on bottom hinged battery doors have got better and better and a really good job has been done on the Wildwolf. To open just slide out and lift up and while open any play is minimal, battery orientation on the door is Black on Black but it is so brightly and clearly labelled at the bottom of the battery tubes on this occasion it really doesn't concern me. Once the door is shut with the batteries installed the door is very secure and their is no battery rattle whatsoever, cracking job! The Wildwolf has an HD colour screen allowing for a very sharp display which is very bright. The display design to me looks a bit like a cauldron with the curved sides being the battery status bars labelled "A" and "B". The top of the display we have the mode you are in then central with left orientation we have the watts, voltage or temperature depending which mode you are in (when in temp control we also have the wattage displayed below the temperature). Central with left orientation we have the resistance followed by voltage (which displays wattage output when in variable voltage mode) and then amps. At the bottom of the display we have the preheat, curve type or metal type when in temp control. When using custom curves, the curve graph is displayed central on the screen. The Wildwolf springs into life as soon as the batteries are installed and doesn't have any physical way of turning off the device, however if the device isn't used for an hour it auto shuts down and 5 clicks of the fire button turns it back on. The device is very simple to navigate, pressing the mode button highlights the first item on the screen which can be altered and then you use the navigational buttons to scroll around the screen. When the item you want to alter is highlighted pressing the mode button again turns it Orange, now you can use the navigational buttons to adjust. The first item that is highlighted is the mode so press the mode button again to turn this orange which allows you to change to Temp, then Voltage and back to Wattage. 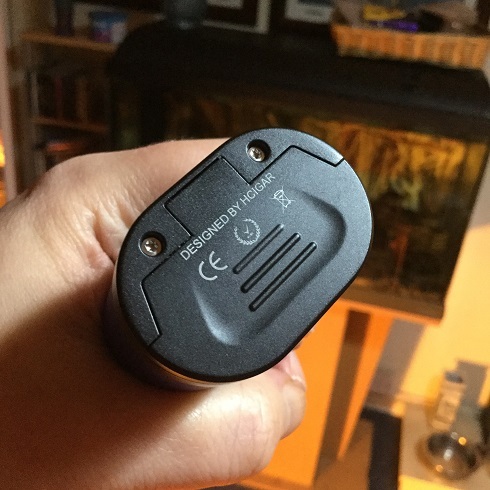 When in Wattage you can highlight your watts and pressing mode changes your watts orange which allows you to adjust but of course wattage can also be adjusted straight from the main screen in the usual manner, the wattage adjusts in 0.1w increments unless you hold down the button which then alters in 1w increments. The other item that can be highlighted is your preheat at the bottom of the display, the options are soft, Normal, Powerful or Curves, if you select curves the wattage curve graph appears on the centre of the display. You can use your navigational buttons to move to each second value, mode selects the highlighted second and then the navigational buttons increase or decrease wattage for that second, pressing mode again confirms what you have entered and you can move to the next second (the curve allows settings for 10 seconds). When in Temp control you can highlight the temperature to alter and the wattage for temp control, at the bottom of the screen is where you change wire types, the options are Ni, Ti, SS, Ni curve, Ti curve and SS curve (the curves in temp control can be altered in the same way the wattage curve is altered). When voltage is selected you can adjust the voltage up to 8V in 0.1V increments, where in wattage mode we had the voltage displayed now shows the wattage output. Pressing both navigational buttons together locks and unlocks the navigational and mode buttons, when locked the device still fires. The device can also be fully locked and unlocked by pressing the fire button 5 times, locking the device this way does not allow the device to fire. 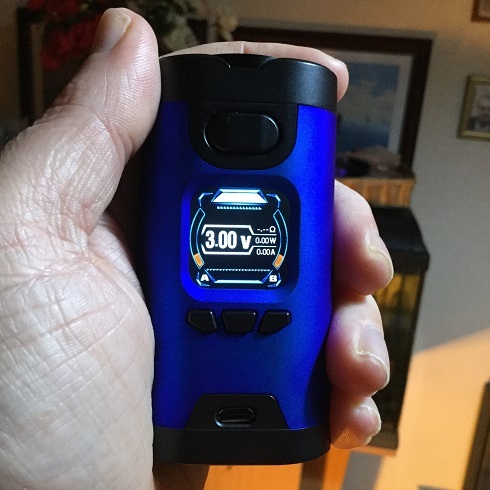 As usual i must say i do not vape using temp control and have no access to data so simply review devices as i found they performed for me as a personal experience. After making that statement the first con will be it's a 235w device as i don't need access to data to know a dual 18650 device will give nowhere near that sort of wattage. 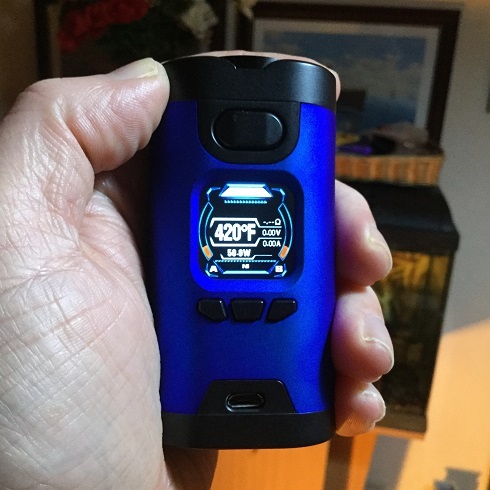 On the upside, although i personally don't vape using temp control i do know the Towis chip performs quite well in temp control but if you are a temp control vaper i would recommend you read or look at some reviews that cover temp control in depth. 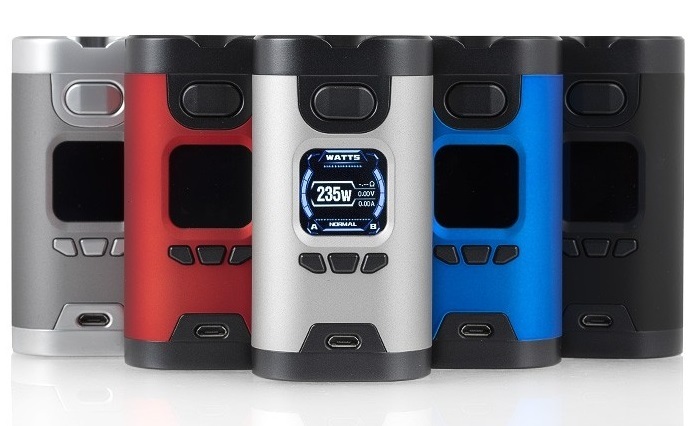 The fact the Wildwolf is going to give more in the region of 180w tops is not going to concern the majority of vapers as they will not vape at the sort of wattage that makes this an issue and certainly at all the various wattage's i tried, the device seemed very accurate and fired instantly with excellent ramp up speed. The device feels so comfortable in the hand and the fire button is very easy to find and gives a luxurious click when pressing. The pre-heats and power curve all worked very well and i love how easy the device is to navigate. The Wildwolf has one of the best displays i have come across and being able to fit up to 30mm atty's without overhang with it's centre mounted 510 and 30mm 510 plate is a massive pro. 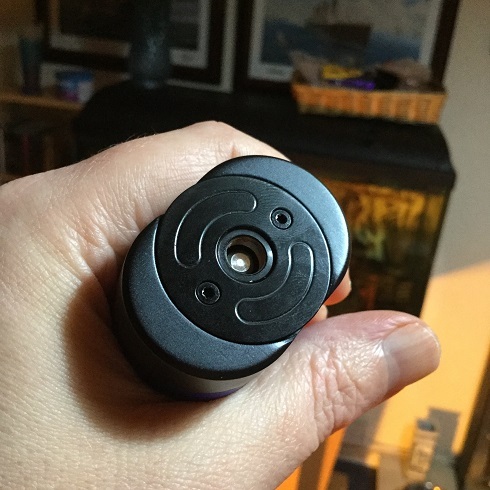 To stop smaller atty's looking a bit dwarfed you do get a 24mm ring to make them look more substantial but i found only some 24mm atty's fitted as it's diameter is slightly less than 24mm. 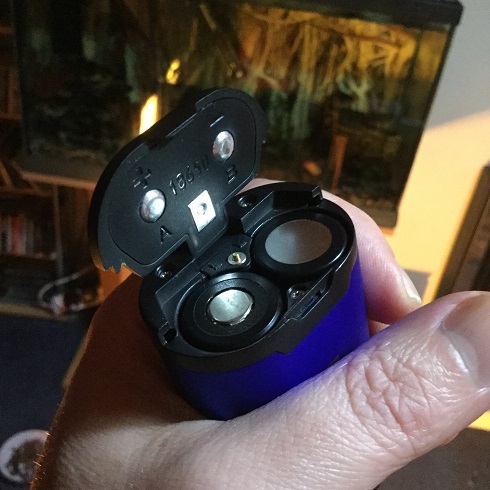 Nothing to report with battery life as it gave the sort of life i would expect from a dual 18650 device so not draining the batteries or super efficient. 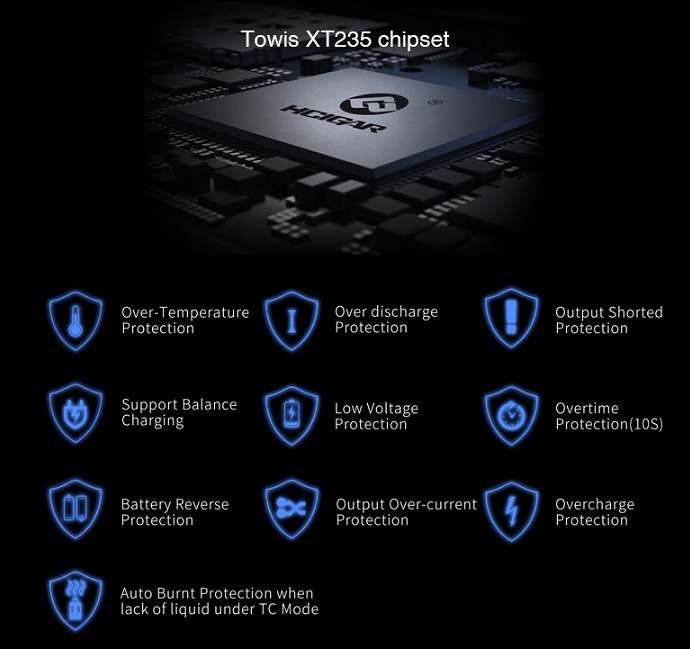 The Wildwolf has a host of safety features and supports 1.5A balanced charging with pass-through but as far as i am aware it is not firmware upgradeable. I think the inclusion of a small menu accessed with 3 clicks of the fire button allowing things like brightness adjustment, stealth mode and screen timeout settings would of made the device better and i don't like the fact i can't turn the device off when i want or that it auto shuts down after the device as been redundant for an hour. Overall though the Wildwolf really impressed me and any cons are things that if they were addressed would make a very good mod even better. 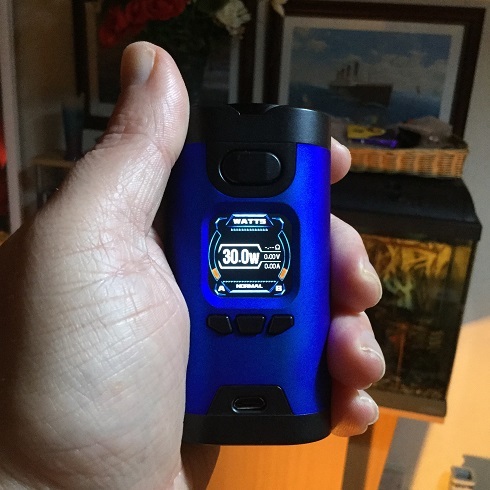 I would once again like to thank Ella from Sourcemore for supplying the Hcigar Wildwolf 235W TC MOD for the purpose of this review.